Today I am going to take you on a history lesson (one of my favorite subjects). Family vacationing can mean so many different things to different families. For all it is making memories to last a lifetime, deciding on what those memories should be is where it differs. Personally I want my children to have a wealth of knowledge in all things and be immersed in culture and history from all over. This is why I am so excited to live where we do now, Southeastern Virginia, just miles away from the Historic Triangle, where our wonderful country came to be! A few hours from Washington D.C., which goes without saying how important that is. Another couple hours to Philadelphia, another important city involved in our countries birth. These are just a few places we are close to! I am just going to touch on a few of the National Parks we have visited. First up, Castillo de San Marcos in St. Augustine, FL. St. Augustine is the oldest permanently occupied city in America, dating all the way back to 1565. Because of the rich history in this town it is a wonderful place to bring the family. I recommend the Old City Trolly Tour, it makes stops all around St. Augustine allowing you to see the whole city in just a few hours. Of course you will want to make some stops and visit the Old Jail and Store, the Jail Guards and Shop Keepers take you back to a time we have never experienced! There is also a winery you can take a tour of, which is free and you get samples. Right next to the winery is a chocolate shop... yes, please:) And of course you have to go to the Fort, it is an easy Fort to walk around no matter your level of comfort. You will see cannons, and all the different rooms within the Fort. 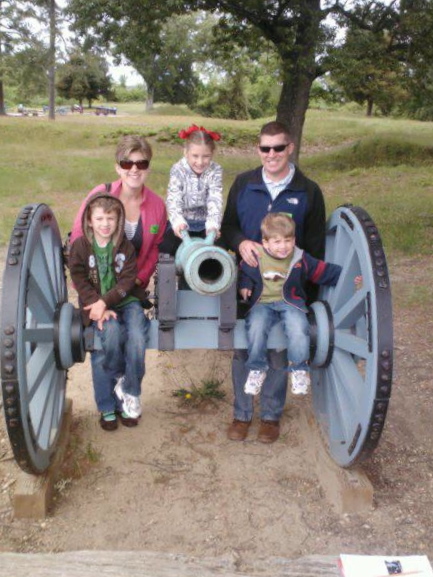 They do cannon shootings too so make sure to check out the times before you visit! Next up is Williamsburg, Yorktown, and Jamestown... This is our most recent National Park we have visited, with it only being about 30 mins. away I have a feeling we will be visiting often. Williamsburg is not considered a National Park actually, but Yorktown and Jamestown are. But when you visit one you have to visit all three. Williamsburg is the largest and will take the most time to visit. I recommend getting there early when they open to avoid long lines (especially in the busier months). You can choose to purchase a ticket so you will be able to go in to all the buildings and take in the most, or you can opt out of the ticket and just do the free tour where you are not allowed in any of the buildings, only the main grounds. We opted for an annual pass since I know we will be coming back and they had a great military discount! 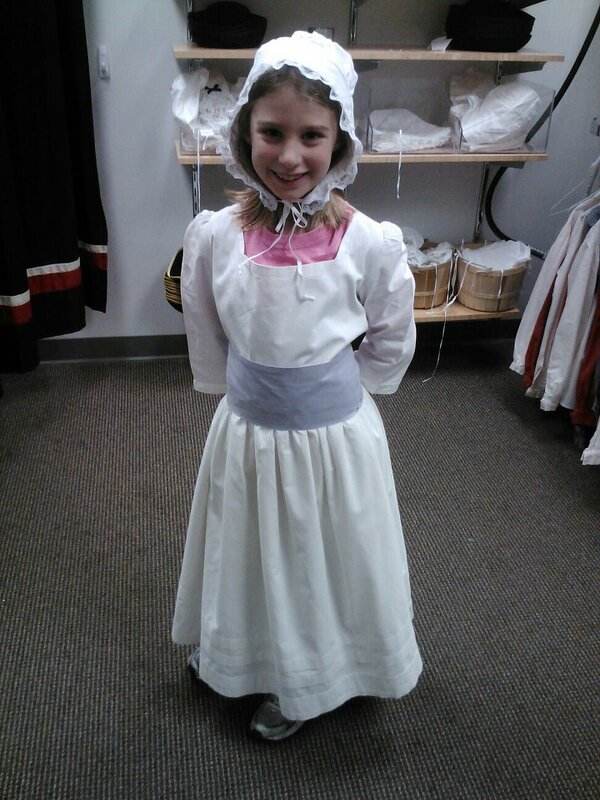 One thing to think about doing if you have young children with you is to "dress them up" for girls that means colonial dress with a sash and a hat or bonnet, and for the boys they have a shirt, sachel, musket, and tri corner hat. You can rent these costumes at the main store at the visitor center (all but the hats, you would purchase the hats to keep), it is super cute and totally worth it. My daughter did the whole outfit where my one son just opted for the hat. The kids really enjoyed Williamsburg, we visited an old school house where the kids got to try out games and lessons children did in the colonial days (my how things have changed). They ran around a maze in the Palace gardens. Helped plant seeds in the garden. Asked questions in the court house. Watched a reenactment of events leading up to the signing of the Declaration of Independence and than heard it read out loud (very moving). After a fun day learning all about the Colonial days we dined at Christina Campbells Tavern, it was on the pricey side but so worth it! I mean, George Washington dined their frequently, it has to be worth trying!! Now, Jamestown and Yorktown are both National Historic Parks, so if you have a pass you would not have to pay admission. In Yorktown, when you enter the center you will be able to visit a ship on display to get an idea of what they was on the sea was like and you will see tents used by George Washington, pretty cool! There is also a film explaining the Battle at Yorktown, who knew the French played such a key roll in our victory? You can then tour the battlefield, either self guided or with a park ranger, we choose to do our own since we had little ones with us, if they were older or we were alone I would have gone on the tour lead by the park ranger. There is also a driving tour you can do as well, you can purchase the CD in the gift shop and then drive around the battlefield listing to the commentary, very well worth it! Do note food options in these parks are very limited, I highly suggest packing a picnic lunch or leaving the area to dine. If you want to have a traditional meal at one of the taverns reservations are highly advisable!! The Historic Triangle can be paired up with a trip to Busch Gardens and Water Country USA very easily, and if you were spending a week or more take a visit up to Washington D.C. or Philadelphia!! Which brings me to the last of the National Historic Park areas I would like to mention. Washington D.C.! D.C. is more than just politics, it is a booming city of history, architecture, and culture. Step out of the Metro on to the Mall (no, you won't find any Macy's at this mall) and look around... on one end you will see a beautiful obelisk standing tall (this would be the Washington Monument) and on the other end you will see the magnificent Capitol Building. Between these two amazing architectural feats are museum and museum and buildings holding some of America's most precious documents. Some must dos are, Air and Space (free), Natural History Museum (free), Holocaust Museum (free) National Archives (free), National Zoo (free) and walking around the Washington Monument, WWII Memorial, Lincoln Memorial, Jefferson Memorial, and Korean War Memorial, The White House (just to name a few). And, can you tell a theme with the museums? Yes, they are all FREE! With so many free or inexpensive things to do in D.C. is just doesn't seems right to not take the kids for a visit!! Biggest things to keep in mind are lodging, when we stayed over (just for the night), we stayed at the Doubletree in Crystal City, we were close to a Metro station so it was no big deal really. If we were staying longer I would probably try to stay closer in D.C. just the closer you go the bigger the price tag gets. So, there you go, a little tour of some of America's National Parks. With nearly 400 National Parks across the United States you are sure to live close to one or more. Go out there and visit them, it is your history, get out there and learn it!